Creative agency The Works and sister specialist messaging agency On Message have unveiled a new campaign, which includes a chatbot, to promote the Sydney Opera House. The iconic landmark attracts 8.2 million visitors each year, yet despite its popularity, recent market research revealed that three in four Sydneysiders haven’t seen a show in the last year. There is a need to challenge misconceptions that the Opera House was only for classical arts, and to increase understanding and awareness to Millennials about the diverse and inspiring experiences on offer. After a competitive pitch late last year, The Works and sister specialist messaging agency On Message were tasked with getting the word out, and in such a saturated event market, they needed to make a real splash. The solution was to bring in the big guns: Seal. Nope, not that guy. The loveable Opera House seal, who has swapped his days sunning himself on the northern steps of the landmark to become the first ever voice of the performing arts centre’s new chatbot. The cheeky seal bot chats with Sydneysiders about upcoming gigs, reviews, surprising tales of celebrity encounters and even suggests date night ideas. Hosted on Facebook Messenger, the chatbot uses a unique conversational platform to engage new audiences in an informal way. With an extensive conversational flow, the bot holds over 100 pieces of tailored content including images, videos and GIFS. It also includes integration with a social amalgamator, enabling users to scroll through live social media footage of the Opera House. To chat to the Sydney Opera House seal bot, click here. As well as the chatbot, the campaign extends to JCDecaux out-of-home assets and an extensive social media campaign. 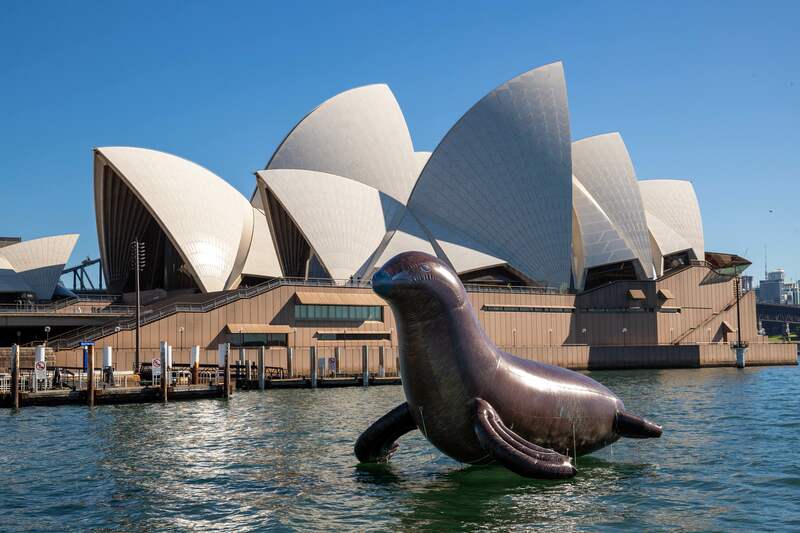 To celebrate the campaign launch, a giant eight-metre inflatable seal arrived in Sydney Harbour at the Opera House. Guy Patrick, creative director at The Works Sydney, said: “To be honest, working with the seal was a little tough at first. He sleeps like 14 hours a day, so planning around his schedule was a nightmare. “I think becoming the Opera House ‘front seal’ got to his head, but we made it through in the end to create a campaign we’re all pretty excited about. Christina Erskine, general manager of marketing at the Sydney Opera House, said: “It’s our pleasure to play host to the visits of a wild seal at the Opera House, who’s become the unofficial mascot for this campaign.